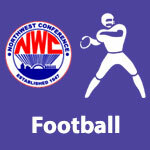 October 2016 – NWC-Sports.com | The Official Site of the Northwest Conference for nwc news, nwc scores and more. Delphos Jefferson is ranked 9th and Spencerville is ranked 14th in Division VI in the final weekly 2016 AP State Football Poll. 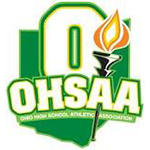 The final weekly OHSAA Football Computer Rankings were released and 4 NWC schools are headed to the playoffs after finishing with a top 8 finish in their region. Top seven teams and those individuals that finish in the top 28 advance to the state. The sixth weekly OHSAA Football Computer Rankings were released and 5 NWC schools are ranked in the top 8 in their regions. Delphos Jefferson is ranked in the 7th Weekly AP State Football Poll. Delphos Jefferson is ranked 10th in Division VI in the seventh weekly AP State Football Poll.